With your support, MAUI CAUSES will flourish as a crowd funded media production team who's mission is to create media for Maui’s most needy, environmental and progressive causes. Watch our New Weekly TV Show on AKAKU Channel 55 Mondays & Sundays at 7PM and "Like" us FACEBOOK. Our islands are locked in a hundreds year old stranglehold by plantation powers that never did and still don't serve the greater good. Only the people, standing up for what is right, on issue after issue, just as we stood up against Monsanto and Dow on GMO’s and pesticide abuse, can bring the kind of change that Maui needs and deserves. The light shining on Maui as a result of our extraordinary electoral win against Big Ag provides us a platform from which to promote alternative social and environmental agendas that serve the real people of Maui, not the plantation families, not the politicians and not the corporations. Your generous support also allows us to bring awareness to the needs of ordinary people facing extraordinary circumstances. Contribute $10 for 12 months (or $120 for one month) and you'll get a subscription to DYING INTO LOVE. 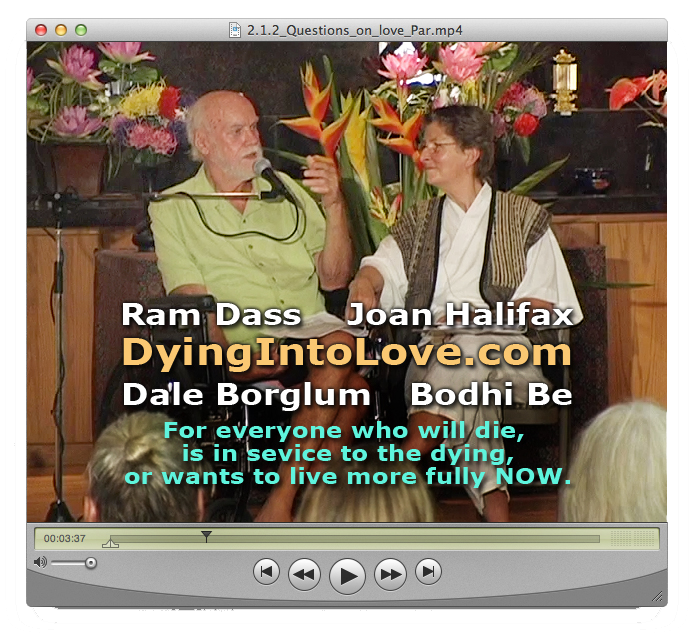 Four Authorities; Ram Dass, Joan Halifax, Dale Borglum and Bodhe Be, Share What to Do Now To Create The Kind of Death You Want & How To Be of Service to Someone Who is Dying. Dying Into Love is a series of 42 on-line videos, in bite-sized chunks, totaling almost 18 hours, from three intimate workshops illuminating all aspects of dying, clinical and esoteric, in order to reclaim death as a sacred component of everyday life. Contribute $10 for 6 months (or $60 for one month) for this collector's item from the SHAKA Movement and VOTE YES MAUI's historic, winning MAUI GMO Moratorium political campaign. Monsanto and Dow spent $8 Million Dollars and they couldn't beat these hats. There's a variety of colors available. 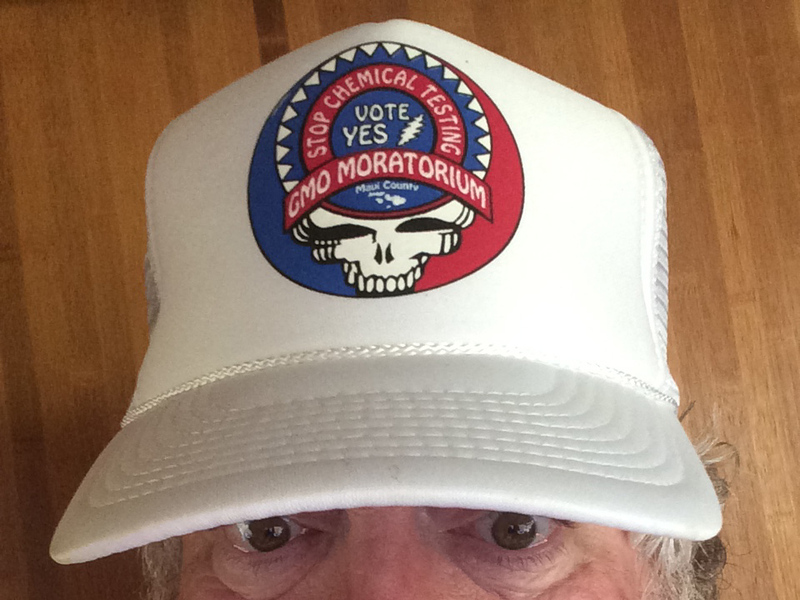 Contribute $25 for 12 months (or $300 for one month) and you'll get a subscription to DYING INTO LOVE, The GRASSROUTE GUIDE and a VOTE YES MAUI HAT. Sponsor a half hour segment of the weekly MAUI CAUSES TV SHOW on Akaku TV, Maui's most excellent Public Access TV Channels. Your company will get a 30 second sponsorship acknowledgement during the show which airs several times every week.